The west wilts gauge 0 group is a model railway club based in Brougthon Gifford near Melksham in the county of Wiltshire. The club has its own parking with level access to the club room. The cub meets every Tuesday evening and some weekends for events at the club room. 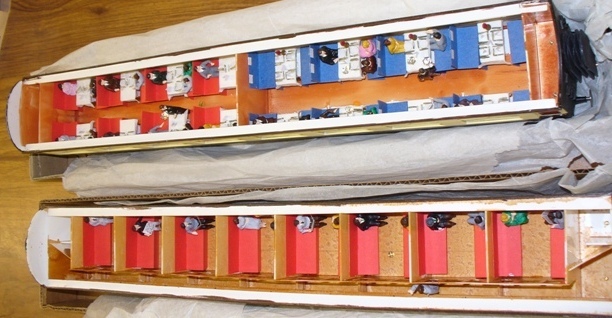 There are also visits to various model railway layouts where members are welcome to bring/run there own rolling stock. As well as operating and maintaining the clubs layout there are regular talks and demonstrations about various model railway subjects which are usually hosted by members of the cub. Examples of demonstrations/talks that we have run in the past include: Weathering, Painting and lining, Maintaining locos, DCC Control, Computer Control, model railway coach interior detailing, etc. There are also trips out organised by various members of the group throughout the year. New Members are always welcome to join us, please contact us if you are interested in joining.